Beginning April 30, customers traveling in United Polaris, the airline’s international premium cabin travel experience, will be able to relax and dine prior to their travels or refresh upon arrival in the new United Polaris lounge at San Francisco International Airport (SFO) conveniently located in the International Terminal near Gate G92. Thoughtful California touches are incorporated into the lounge’s look as well as the food and beverages so that customers – visiting us from all over the globe – get a glimpse into the Bay Area’s unique aesthetic. 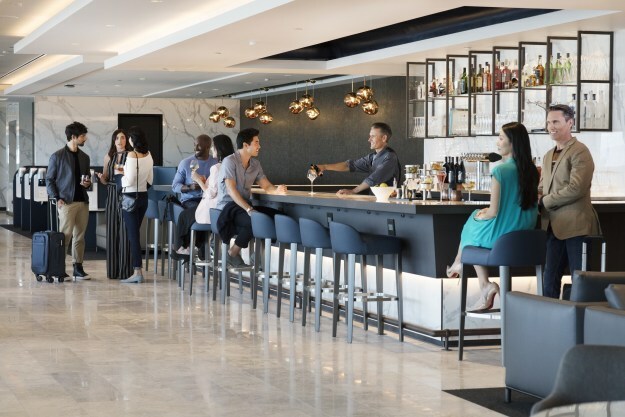 The United Polaris lounge at Newark Liberty International Airport is expected to open by early June, the lounge at George Bush Intercontinental in Houston this summer and the lounge at Los Angeles International Airport this fall. The focus behind the United Polaris experience has always been to provide long-haul travelers with what they’ve asked for: better sleep in the sky. On average, United plans to add one aircraft with the new United Polaris business class seat every 10 days from now through 2020. Beginning July 1, every seat onboard will be provisioned with a cooling gel pillow. The gel pillow, previously available by request, has proven to be one of the most popular items of United Polaris bedding. In response to customer feedback, beginning May 1, United will offer customers a pre-arrival dessert in place of the pre-departure chocolate that is currently served. On flights departing the U.S., customers will be served a white chocolate cranberry cookie from Christie Cookie Co., handcrafted from gourmet ingredients in Nashville, Tenn. Customers on flights that originate outside the U.S. will receive a box of chocolates.